After a brief lull, the Piramal group is on the prowl. 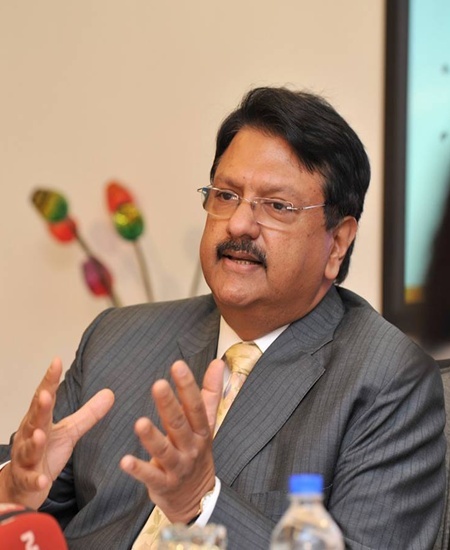 This time, Ajay Piramal, chairman of Piramal Enterprises, has identified the infrastructure sector for its big-ticket investment. The sector is expected to bag orders worth Rs 5 lakh crore from the Indian government in the next few years. The group's flagship company Piramal Enterprises, which invests on the lines of a private equity fund, has already put nearly Rs 300 crore or Rs 3 billion in real estate - funding cash-strapped builders apart from investing in its own residential and commercial projects. Till March this year, the company had a loan book of Rs 4,766 crore or Rs 48 billion under real estate and a special situations fund. It has completed 77 transactions till date, with 50 development partners located in five Tier-1 cities - Mumbai, Pune, Bengaluru, National Capital Region and Chennai. In the lending business, it has made total disbursements of Rs 7,559 crore or Rs 76 billion. This is not all. Piramals have spent close to Rs 100 crore in financial services by acquiring stake in Chennai-based consumer lending group Shriram. But, the big-bang investment which has made the entire financial services sector talking, is the possible acquisition of unlisted infrastructure lending firm, IL&FS. Both companies have not confirmed any talks as yet and have declined to comment. Since its exit from pharma sector, the Piramal group's investments have given good returns. For example, after exiting from Vodafone India for Rs 8,900 crore at an internal rate of return of 19 per cent in April 2014, the group in July last year entered into a strategic partnership with Dutch pension fund APG for investing $1 billion in a special situation opportunities fund over the next three years. Both have invested $375 million (Rs 2,400 crore) each, in infrastructure companies. The group has also set up a 100-member team across Piramal Fund Management and Structured Investments Group to oversee the investments. A top official of the Piramal group said apart from infrastructure, the group is investing in the real estate sector in spite of the slowdown faced by the industry. "If the Indian economy has to double in the next few years, the sector has to play its part. I think the current slowdown in the real estate sector is temporary," said Anand Piramal, executive director, in a recent interview to Business Standard. For this, the group has already lent close to Rs 4,766 crore to real estate developers and under special situation opportunities in sectors, including infrastructure, in FY15. The group is also managing Rs 8,441 crore through a private equity fund that invests in the real estate sector. The fund currently manages 12 funds, including three third-party mandates and one managed account. With a sponsor commitment of 7.5 per cent, it is one of the first institutions in India to enter in real estate fund management. The aggressiveness of Piramal in real estate investments can be gauged from the fact that its fund management arm, Piramal Fund Management, disburses around Rs 1,500 crore every month to developers, either as debt or equity. Piramal Fund Management had earlier said it would invest up to Rs 5,000 crore before March 2016 to finance construction projects. Market insiders say Piramal lends funds at 16 per cent, which other fund managers and non-banking financial companies are finding difficult to follow. However, Khushru Jijina, managing director of Piramal Fund Management, says they lend at even lesser rates as they have to be competitive in construction financing. In fund management, Piramal Fund Management is also looking to migrate from floating third-party funds to signing joint ventures (JV) with global pension funds and sovereign funds, which will invest in real estate projects. It is already in talks with sovereign funds and pension funds to float a 50:50 JV, which will provide equity to developers. "We are seeing a big demand for pure equity and preferred equity. We have already started giving this combination to developers. To scale it up, we'll tie up with a sovereign fund or a pension fund," said Jijina. Piramal already has a $500-million JV with Canada Pension Plan Investment Board, for debt lending to housing projects in major cities. "After its exit from the pharma business, the Piramal group has made some very good investments in recent years, like Vodafone and Shriram. It would be certainly interesting to see whether the group finally makes investments in IL&FS or makes investments in infrastructure projects directly," said the chief executive officer of a financial services firm, asking not to be quoted.